I found a very interesting fruit at the fruit market last week. It was bright yellow, had tendril fingers and smelled of delicious citrus. I little investigation and I discovered that the name of this fruit is Buddha’s Hand. A strange name indeed, but the fruit itself resembles a multi-fingered hand and since its roots are traced back to India or China, the name is rather fitting. While Buddha’s Hand smells like a lemon and the rind itself feels like a lemon, once you cut into it, it’s obvious that one feature of the lemon is missing. Buddha’s Hand has no juice. Imagine a lemon that is just peel and white pith all the way through. It’s also not as bitter as a lemon. I ate a couple of pieces and they were really nice. Could I eat a whole Buddha’s Hand in one sitting? No way, but a couple of pieces were nice. Now that I knew what it was I needed to decide how I was going to use it. Most websites call for Buddha’s Hand to be turned into a marmalade, peeled and added to salad dressings or infused in olive oil. 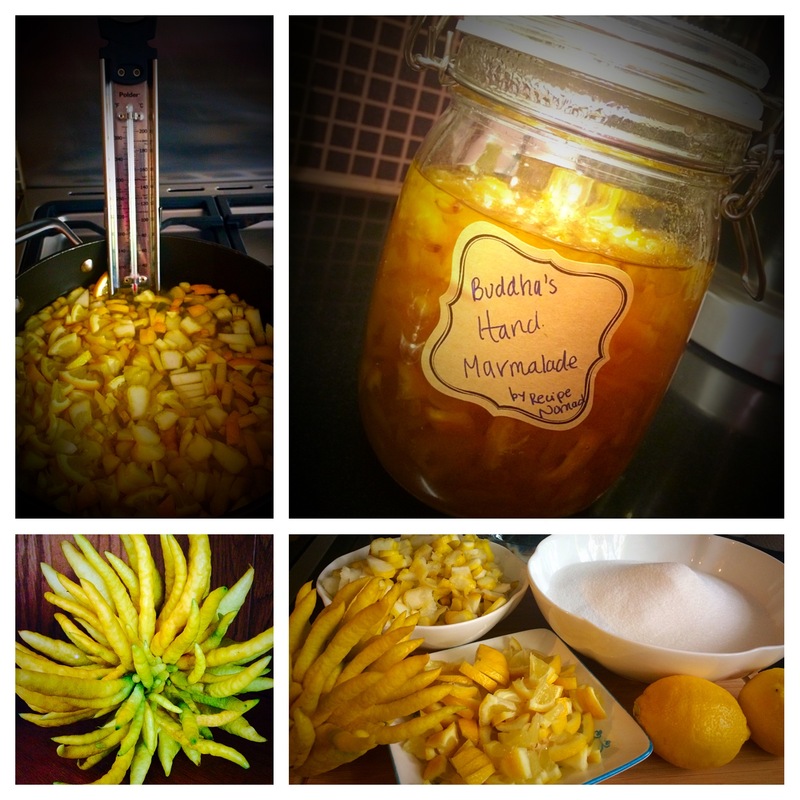 After reading through some of ideas, my mouth began to water at the thought of Buddha’s Hand Marmalade. 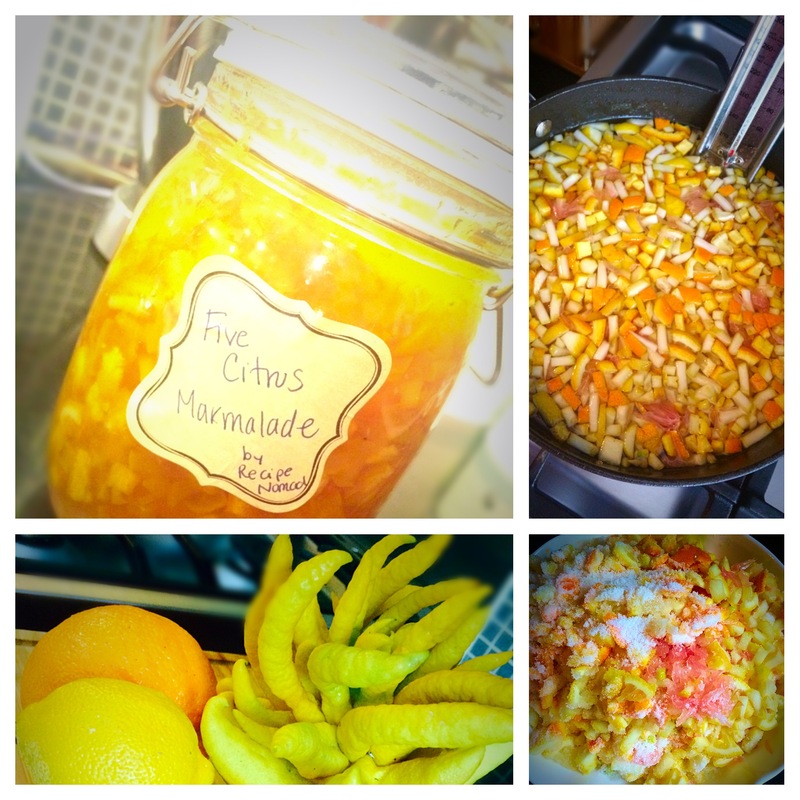 I found what could be considered a classic Buddha’s Hand Marmalade with Meyer Lemon that I had to modify to just a bit. No surprise I could not find Meyer Lemon at my local fruit market, so I just used regular lemons. Keep in mind that using regular lemons as opposed to Meyer Lemons will make the marmalade a bit more bitter. Do not discard all of the pith because it provides a pectin effect that will help the marmalade gel together nicely. 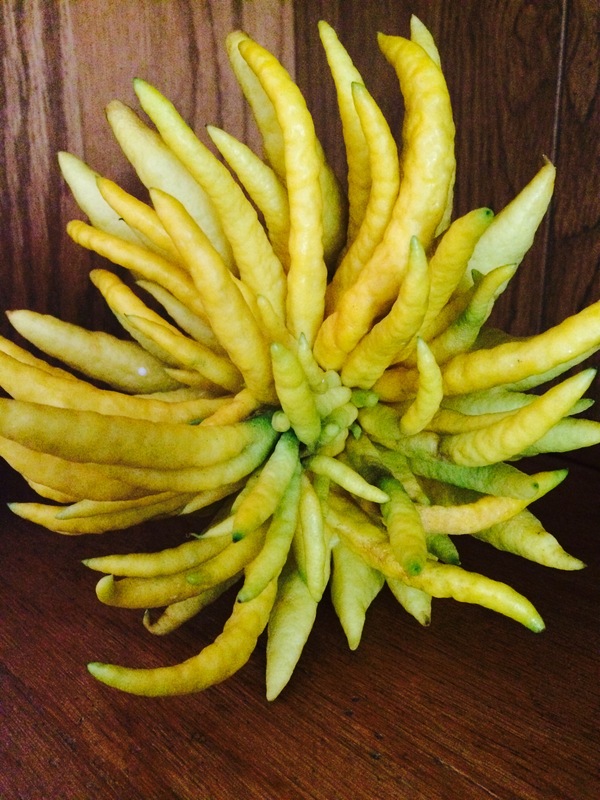 Put sliced Buddha’s Hand, lemon, sugar and water in a heavy bottomed pot. Stir to mix all together. Over medium-high heat bring the mixture to boil, then reduce heat to low and allow to simmer for about one hour, stirring occasionally. After an hour, the temperature of the marmalade should be hovering around 220 and the liquid reduced by more than half. Continue stirring until sauce thickens. Keep an eye on the marmalade to ensure it doesn’t boil over. Pour marmalade into prepared jars for storing. I used 1 quart Ikea Jars with a sealable lid. When I went to the market to get lemons, I found more Buddha’s Hand so I grabbed 3 more- 2 small and 1 big one. Still in the mood for marmalade I decided to make another Buddha’s Hand Marmalade this time incorporating different citrus flavors. Put sliced Buddha’s Hand, orange peel, clementine peel, pomelo flesh, lemon, clementine juice, sugar and water in a heavy bottomed pot. Stir to mix all together. Now that I have 2 quarts of marmalade I need to figure out what to do with them. I’m thinking fresh made bread with marmalade for breakfast would be nice. How about Vanilla Cupcakes with a marmalade center and Lemon Frosting? For the marmalade, do you not need to boil it to seal/preserve it the way one must for jams and jellies? Hi Rinaldo! I just make the jam- I do not sell it. You’re welcome to try making it yourself. It’s super easy to make and delicious! The recipe is in the article. Brasil..Hi,, I searching for this kind of lemon (citrus) and find your recipe of marmelade... do you mind to tel me where do you by. I im a baker in south brazil and develp a new panetone recipe for nex dezember , I know it,s too early but, for this kind of things never is too early at all. I have bem reaad a lot about this kind of citrus and the strong aroma of. Dou you made candied or just marmelade? Do you sell ? thanks for you time and forgive my english... if you have a instagran profile search for my named SUCRE ARTISAN BAKERY BY RHAE. thanks a lot again. Lemon cake! My favorite!! Give it a try and let me know how it tastes. I wonder if you can find Buddha's Hand in the USA? ?